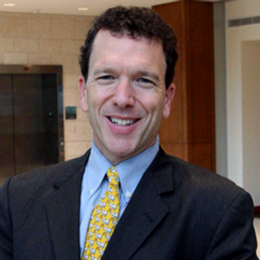 Rabbi Brad Artson is one of the most prominent leaders of Conservative Judaism. A top rabbi, author, speaker and educator, Rabbi Artson brings 25 years of experience in leading and growing spiritual communities and educational programs. Rabbi Artson is Dean of the Ziegler School of Rabbinic Studies at the American Jewish University in Los Angeles, California, where he is Vice-President. He also serves on the Leadership Council of Conservative Judaism; provides educational and religious oversight for Camp Ramah of California; and is Dean of the Zecharias Frankel College at the University of Potsdam in Germany. At a time when many Jewish congregations are struggling to retain and engage their communities, Rabbi Artson has been incredibly successful in growing communities. During his ten-years as Rabbi of Congregation Eilat in Mission Viejo, the congregation tripled from about 200 families to over 600. During that period, his Introduction to Judaism course helped over 200 people convert to Judaism, and 10 of his congregants have since entered the rabbinate. In 2008, Artson ordained the first African Rabbi in Subsaharan Africa. While in Africa, he joined a Beit Din in converting 250 Africans from Kenya, Nigeria, South Africa, Ghana, and Uganda. Artson’s books, magazine articles and Internet articles garner audiences in the tens of thousands. He is the author of 7 books, a regular contributor to Huffington Post, and has written over 250 articles in several magazines. His weekly Torah commentary has over 13,000 internet subscribers! 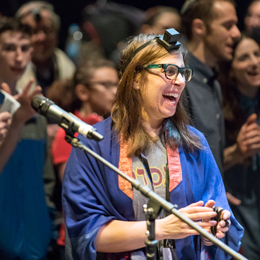 As a Hazzan, Joanna Dulkin is committed to innovative musical and spiritual leadership that inspires joy, connection and meaning at all ages and stages. 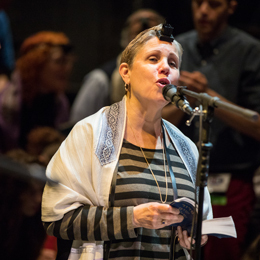 She received her Masters of Sacred Music and Investiture from the Jewish Theological Seminary in 2004 and completed the Institute for Jewish Spirituality’s Cantorial Leadership Program in 2007. She is an honors graduate of Stanford University, where she studied English, sang a cappella, and led community High Holiday Services. 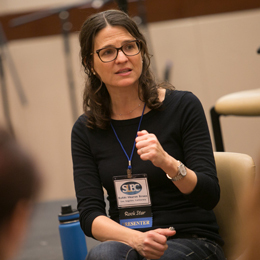 Her background as a URJ and Ramah camp songleader, freelance Jewish musician and educator led her to the cantorate, and she has served congregations in NY, St. Louis, and NJ and currently is at Adath Jeshurun Congregation in Minnetonka, MN. Hazzan Dulkin has taught and performed internationally as a Cantor-, Musician- and Scholar-in residence and is also a published writer and an award-winning composer. She is an officer of the Cantors Assembly, and was on the editorial committee of Siddur Lev Shalem. Hazzan Dulkin and her husband, Rabbi Dr. Ryan Dulkin, are the proud parents of Zac and Jesse. 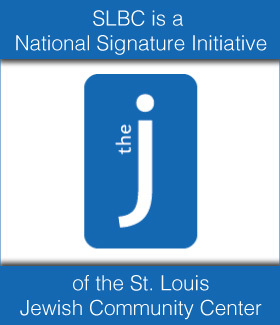 Rabbi Susan Talve is the founding rabbi of the only Jewish congregation located within the City limits of St. Louis, Central Reform Congregation. 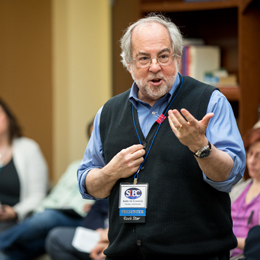 When other congregations were leaving the city for the suburbs, Rabbi Talve joined with a small group to keep a vibrant presence in the city to be on the front line of fighting the racism and poverty plaguing the urban center. Today she performs life cycle events, leads worship services for the seven hundred fifty plus households that comprise the congregation, and is actively involved in the teaching of young and adult members. She also teaches courses on Jewish life and thought and in both the Jewish and non-Jewish communities. Rabbi Talve has led her congregation in promoting radical inclusivity by developing ongoing relationships with African-American and Muslim congregations, and by fostering civil liberties for the LGBTQ community. Rabbi Talve attributes her success to the relationships she has built by showing up, from street corners where violent crime has taken lives to rallies for worker’s rights, gun control and access to health care to the bedside of the suffering regardless of religion or membership in her community. Rabbi Talve was ordained by Hebrew Union College in Cincinnati in 1981, where she earned a Master’s Degree in Hebrew Letters and a Doctor of Divinity. She was honored with the college’s Stephen Levinson Award for Community Service after founding the Jewish Early Learning Cooperative, Ohio’s first licensed infant childcare program in the workplace. She was the first non-Christian to receive an honorary Doctorate from Eden Theological Seminary in 2011 for a career of visionary and bold leadership and supporting interfaith relations in the St. Louis community. She has received many awards for her efforts on behalf of the Jewish and non-Jewish communities. Rabbi Talve and husband, Rabbi James Stone Goodman of Neve Shalom Congregation, are proud parents of three wonderful adults. Rabbi Ed Feinstein is senior rabbi of Valley Beth Shalom in Encino, California. He has served on the faculty of the Ziegler Rabbinical School of Rabbinic Studies at American Jewish University since 1990 and is an instructor for the Wexner Heritage Program, lecturing widely across the United States. In 1982, Rabbi Feinstein became the founding director of the Solomon Schechter Academy of Dallas, Texas, building the school’s enrollment from 40 to over 500 in eight years, and winning national recognition as center of educational excellence. In 1990, he assumed the position of executive director of Camp Ramah in California, the largest Jewish camp and conference center in the western United States. He came to Valley Beth Shalom in 1993 at the invitation of the renowned Rabbi Harold Schulweis, whom he succeeded as the congregation’s senior rabbi in 2005. 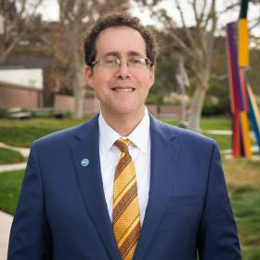 Rabbi Feinstein is a member of the board of the Jewish Federation of Greater Los Angeles, a member of the school board of Milken Community High School and an active member of AIPAC. A survivor of two bouts of colon cancer, he speaks frequently to cancer support groups all over Southern California. 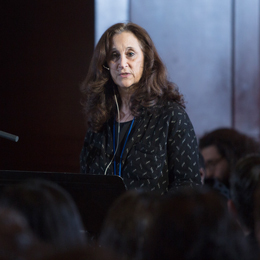 Rabbi Sharon Brous, spiritual leader of IKAR in Los Angeles, was recognized in 2013 as the most influential Rabbi in the United States by Newsweek and the Daily Beast, and as one of the Forward’s 50 most influential American Jews. Rabbi Brous has been on the list of America’s 50 Top Rabbis every year since 2008. In 2012, she became the first female rabbi to break into the top 10. In 2013, she blessed the President and Vice President at the Inaugural National Prayer Service. Rabbi Brous is co-founder of IKAR in Los Angeles – one of the fastest growing Jewish communities in the country. Hazzan Nancy Abramson serves as director of the H.L. Miller Cantorial School at the Jewish Theological Seminary and the director of the Women’s League Seminar Synagogue at JTS. She trains future hazzanim in prayer, nusah and religious leadership, and oversees the School’s curriculum development in Jewish education and teaching, pastoral care, and modern Israel. Hazzan Abramson is helping JTS shape cantorial arts and practices for the 21st century. She received undergraduate degrees from the joint program of Columbia University and the Jewish Theological Seminary, earned a Master’s degree from Columbia University’s Teachers College and received her cantorial training at JTS. Hazzan Abramson is a past president of the Cantors Assembly, and was the first female president in the Assembly’s history. 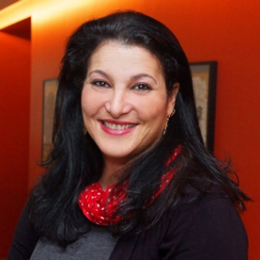 She serves on the board of the Zamir Choral Foundation and is a member of the Women Cantors Network. Hazzan Abramson has performed at Carnegie Hall and Avery Fisher Hall, and with the Selah Vocal Ensemble, and the Rinat Choir in Israel. Before coming to JTS she served as cantor at the Park Avenue Synagogue and West End Synagogue in Manhattan and Congregation Sons of Israel in Westchester. She has taught at the Abraham Joshua Heschel School in New York and directed the music program at Ramah camps in Wisconsin and New England. She has been a cantor/scholar-in-residence in communities throughout the United States. Hazzan Abramson was raised in Milwaukee, Wisconsin. She is married to Mitch Glenn; they have three children and one grandson. Rabbi Micah Greenstein of Temple Israel, Memphis, was named as one of America’s Top 50 Rabbis by Newsweek/The Daily Beast in both 2012 and 2013. Rabbi Greenstein has been named by Memphis Magazine as one of the city’s most significant leaders. He is a two-time President of the Memphis Ministers Association, is on the Executive Board of the National Civil Rights Museum, and is past-President of the Southwest Association of Reform Rabbis, covering six states. Rabbi Micah Greenstein has served Temple Israel since 1991. The Artist in Residence at Temple Israel of the City of New York, Sheldon Low performs rock concerts, ‘Light Up Shabbat’ services, and leads Artist-in-Residency weekends in Jewish communities throughout the U.S. He has four hit albums and has been featured as the headliner and head songleader at various national youth group conventions and Jewish festivals. Low has an undeniable appeal to youth and family audiences, not only as a musician, singer/songwriter, and entertainer, but also as a Jewish educator and role model. Born and raised in St. Louis, Missouri, Low is a third generation songleader. 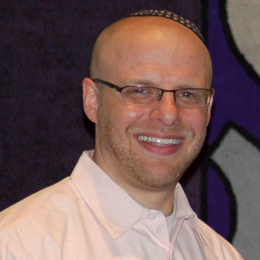 Rabbi Micah Buck-Yael serves as coordinator of community chaplaincy with the Jewish Family & Children’s Service in St. Louis, MO. He serves the Jewish needs of a wide and diverse population, and works as an advocate and educator on issues of LGBT justice. 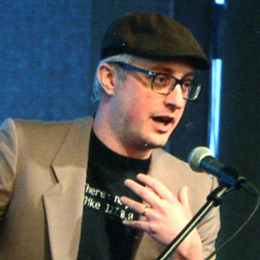 Originally from Washington DC, Micah earned a BA in Jewish, Islamic, and Near Eastern Studies at Washington University. He graduated from the Jewish Theological Seminary in New York with Rabbinic Ordination, a MA in Talmud and Rabbinic Literature, and a Certificate in Pastoral Care and Counseling. He lives in University City with his wife Aviva and their children Naftali, Yeshara, Elior, and Leora. 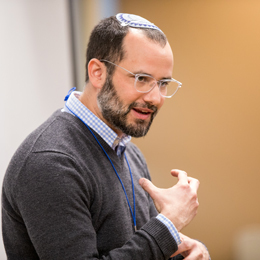 A nationally recognized Jewish educator, Alex has presented his inspirational prayer leading style and innovative curricula at the national CAJE conference, the national Song Leader Boot Camp, Camp Ramah, JEA and USCJ, and at congregational schools across the country. He enjoys sharing, teaching, and learning with students, parents and Jewish educators of all types. Alex is currently a doctoral candidate in the Gratz College EdD program. He has a master’s degree in Jewish Education from the Davidson School of the Jewish Theological Seminary, and 2 Bachelors degrees from the List College Joint Program of JTS and Columbia University. Alex started his career in Day School and has since moved his way through the congregational world from Youth Director to Informal Education Director to Education Director, and finally Director of Congregational Learning. His early childhood students think he lives in the chapel and his family knows that he eats, sleeps and breathes Jewish education! Alex is constantly trying to raise the bar for Jewish education. He believes that through innovative curricula, original programming, and high energy community building efforts we can provide inspiration for communities across the country. Judi Wisch has served as the Director of Community Engagement for PJ Library since 2007. 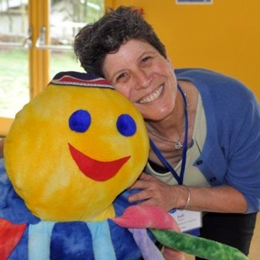 Judi dedicates her energies to supporting more than 200 PJ Program Professionals in North America and beyond in reaching out and engaging families with young children, both within and outside of the organized Jewish community. Her past endeavors include serving as a supplementary school education director, Jewish film festival director, Judaic studies teacher, director of the Conference on Judaism in Rural New England, and conflict resolution facilitator at the Neve Shalom/Wahat al Salaam School for Peace in Israel. Judi earned a BA in Jewish History from Hebrew University and a MA in Intercultural Management from the School for International Training. She loves games, music and nurturing a playful spirit. Todd Herzog is an artist who takes the raw material of life experiences and creates soulful, spiritual, acoustic pop music that opens the hearts of his listeners and leaves them feeling inspired – as if the songs were written only for them. His voice comes from the center of his being, combining the grit and power of Bono with the clear falsetto of Jason Mraz and Five for Fighting. Todd’s music is intended to transform his audience, to allow them to observe their own lives and to open them up to a sense of gratitude and appreciation. His music allows us to feel connected to one another and to something larger than ourselves. Todd’s latest recording, Something to Believe In, is a very personal introspective project that chronicles his return to a sense of his authentic self and to his singer/songwriter roots. His plan is to continue to use his gifts to uplift and to heal his listeners for as long as he is able. 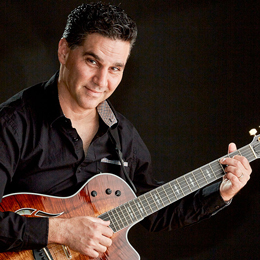 Saul Kaye is an internationally touring musician, artist, and entrepreneur. He has released ten albums of his own and produced for numerous other artists. In Go!, He uses his life story to show how, at any moment, you can transform your brand, your identity—and your entire life. 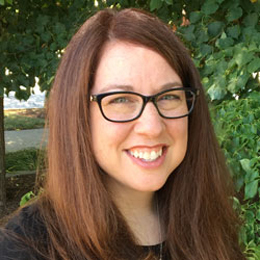 Jamie Light works for the Harold Grinspoon Foundation (HGF) as an Engagement Officer for PJ Our Way™, the newest chapter of PJ Library® for kids ages 9-11. In this role, she leads the PJ Our Way at Camp partnership and provides marketing and programming resources for over 90 partner communities. Prior to joining HGF, Jamie worked as a consultant specializing in program and leadership development, strategic storytelling, strategic planning, and alumni engagement. She previously worked in higher education in student affairs and enrollment management. Jamie has a master’s degree in college student personnel from Bowling Green State University and a bachelor’s degree in psychology and business from Washington University in St. Louis. A native of Memphis, Tennessee, Jamie lives in Beachwood, Ohio with her husband and daughter. She is actively engaged as an alumnae volunteer for Alpha Epsilon Phi Sorority and in the Cleveland Jewish community. Nationally touring music educator Jay Rapoport takes Jewish values and stories and transforms them into “Ruach Rock,” a catchy piano-pounding style influenced by Ben Folds and Billy Joel. His first album of original Jewish songs, “With All Your Heart,” was released in November 2010, and he travels the country sharing his unique blend of instant sing-alongs and engaging musical storytelling that gets people out of their seats and rocking! 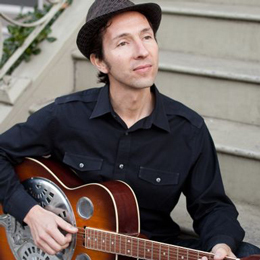 An award-winning songwriter, Jay has shared stages with Craig Taubman, Rick Recht, Kol B’seder, Josh Nelson, Michelle Citrin, Nefesh Mountain, Shira Kline and Naomi Less, and he is featured on Jewish Rock Radio and PJ Library Radio. Songs from “With All Your Heart” have been featured on NFTY’s “Ruach” Series, NewCAJE’s “New Voices,” URJ’s “Shabbat Anthology” and PJ Library compilations. 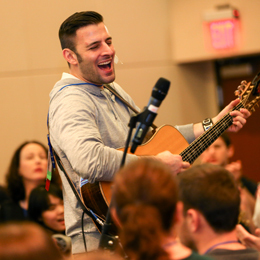 Jay has performed at URJ Biennial, NewCAJE and NFTY Convention and has served on the faculty of Song Leader Boot Camp, led T’filah for ARJE gatherings, and taught at Hava Nashira. 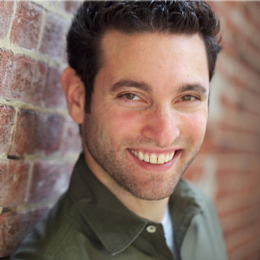 Jay honed his skills as a camp songleader, touring clubs and colleges with various bands, and incorporating original music into his roles as Camp Director at Temple Rodef Shalom in Falls Church, VA and Youth Advisor & Educator at Congregation Rodeph Sholom in NYC. 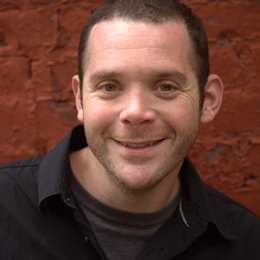 Jay studied piano and singing at Berklee College of Music and has a Master’s Degree in Religious Education from Hebrew Union College – Jewish Institute of Religion in New York City. His thesis curriculum, “Ruach Rock T’filah,” is an approach to creative prayer for teens. 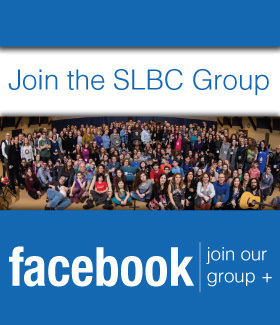 In June 2014 Jay began a new role as the Director of Lifelong Learning at Temple Sholom of Chicago. His second album of Jewish music, “They Tried To Get Us, We Won, Let’s Rock!” was released in December 2014. A graduate of Jewish day school, the Nativ College Leadership Program in Israel, the University of Massachusetts in Amherst and Mercy College, Orlee holds bachelors and masters degrees in Judaic Studies and Education. After 8 years teaching students with a wide range of special needs at elementary schools in Manhattan and the Bronx, Orlee joined Matan, a non-profit organization that educates Jewish leaders, educators and communities, empowering them to create learning environments supportive of children with special needs. As the Director of Education, Orlee supported children with special learning needs in Jewish educational settings by working with parents and teachers alike to differentiate instruction and ensure all students received the modifications necessary to achieve a successful Jewish education. Orlee Krass currently works as the Director of Education at Matan, Education and Inclusion Specialist at the Jewish Journey Project and as the Tikvah Director at Camp Ramah in the Poconos. 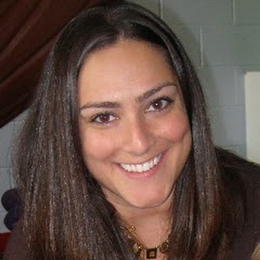 Orlee lives in New City, New York with her husband Matt, and their children Micah, Raya and Gavi. Amy Bergman has worked in both the business and the non-profit sectors for nearly twenty years. Originally from Miami, Florida, Amy received her Bachelor’s Degree in Marketing from the University of Massachusetts in Amherst. She is currently serving as the Director of Jewish Family Life at the Friedman Commission for Jewish Education in the Palm Beaches. 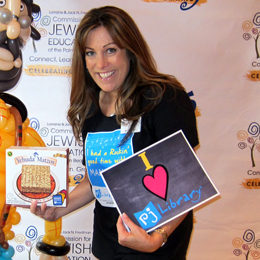 In this role, she oversees her community’s PJ Library® program, in addition to her work as a concierge – connecting young families raising Jewish children to local synagogues and institutions. Amy has designed and created educational, traveling curriculum projects for her community, bringing PJ Library® main characters alive in interactive kits with rich curriculum enhancement materials and resources. In her spare time, Amy also works in the PJ Library® Home Office Community Engagement Department as part of a team dedicated to building a cooperative network among a cadre of more than 200 PJ Library® Program Professionals around the world while designing relevant resources to support them. Previously, Amy worked as a Program Director at the JCC where she supervised the Cultural Arts, Special Events and Adult Departments. During her six-year tenure there, she planned the community’s Israel Fest 50 Celebration and the Annual Jewish Book Fair which included literary programs for all ages. Amy and her husband, along with their two daughters, live in Wellington, Florida. Naomi is the founder and executive director of The Advot (ripples )Project , a nonprofit organization that uses theater for transformation. She was born in the United States and then immigrated to Israel in her childhood. Naomi is an experienced educator and actor, who has trained extensively in varied settings and methods. Her credits include theater, musicals, films, television as well as being an accomplished street performer, stilt walker, and professional clown. Naomi’s acclaimed one woman show that she wrote directed and produces, “Flowers Aren’t Enough” has been presented over 1800 times globally, including at the United Nations. For the past three decades she has used art to promote peace, evolve change and encourage self-empowerment. 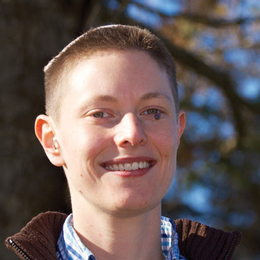 Naomi is a social activist who produces events and gatherings that teach. engage and call to action communities and individuals to take a stand, and find their voice to fight injustice. But most important of all she is the mother of three beautiful girls Zohar, Ella and Hadar. Naomi was an American Jewish Global Justice fellow, in the inaugural AJWS cohort 2014-15, a recipient of the KCET and Union Bank 2014 Local Heroes award for Jewish American Heritage month. and 2016 International woman achievers award (IWAA) for Community leadership. She has written/Blogged for forward thinking, and the good magazine. Got a question? Get in touch ?